Join Semilla and individuals all over the world as we seek to bring cultural transformation by the Word of God to The Americas. 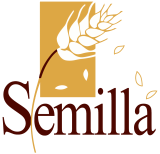 By becoming a Semilla sponsor you will be an active agent of change. Click here to make a secure donation of $50, $100, $250, or $500. Any amount that you can give will make a difference. Semilla is incorporated as a 501(c)3 non-profit company. All donations are tax deductible.